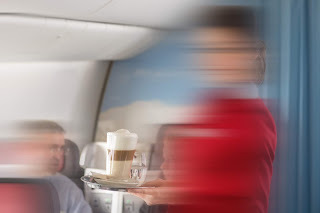 George's corner of science and health / exceptional people / environment / humanity in pictures: Why are flight attendants’ rates of cancer spiking? Why are flight attendants’ rates of cancer spiking? Being a flight attendant has its bonuses, like getting to travel the world for free, meet new people, and maybe a good salary. But it is not all free snacks and flights to Paris. The job comes with some costs too—like erratic schedules, aggressive passengers, and significant delays. But those, while frustrating, may be the tip of the iceberg. This week, new research is boosting concerns about an even more severe hazard: the increased risk of cancer. The authors were not able to nail down an exact reason but they suggested the cause could be due to cosmic ionising radiation and the working conditions like sleep and changing time zones.